All workshops are free with festival admission. We encourage you to sign up for workshops in advance, although this is not required. To register, email Kentucky Heartwood at kentuckyheartwood@gmail.com or leave a message with Chris Schimmoeller at 502-226-5751. 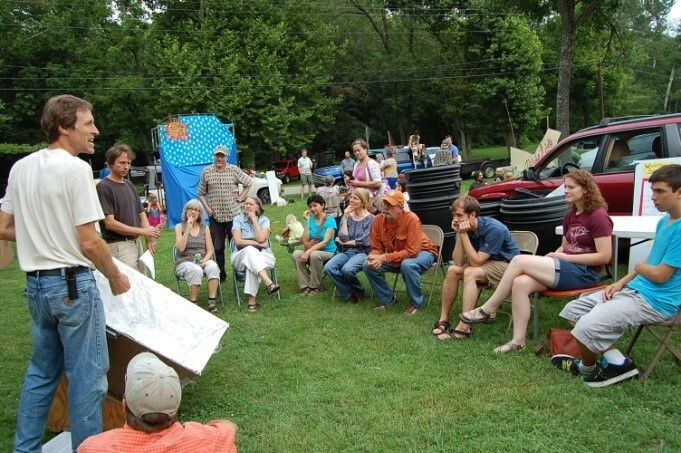 ​Workshops are designed with earth awareness and fun in mind! All workshops take place in the lower festival area except where noted. Participants in the stream ecology workshop are encouraged to wear appropriate footwear. ​Stream Ecology Workshops: 3:30 & 5:30 pm. Getting in the creek is one of the hits of the festival! Glenn’s Creek is a beautiful, clean, fast flowing stream that goes right past the festival site. Biologists Katie McKone and Jessica Schuster will get in the water with kids and adults to look for water bugs (macroinvertebrates) to learn about what the critters can show about the health of the stream. This is a fun, educational event that is free with festival admission. Plan to get wet! Wear swimsuits or shorts and sandals to wear in the creek. No flip flops please. Workshop times: 3:30 and 5:30 pm. Meet near the Kentucky Heartwood table. Workshop length: approximately 45 minutes. Children under 12 must be accompanied by an adult at this event. Whether picked out from the farmers market or picked from your own garden, fresh food that's grown nearby tastes better and is more nutritious. Lisa Munniksma of Franklin County Farmers Market will talk about ways to cook and eat what's in season now and how to think about eating locally year-round. Workshop length: 30 minutes. Join songwriter/musician Jeri Katherine Howell in this interactive circle to create a song together and explore how we creatively express our relationship with nature. Feel free to bring a painting, dance, photo, song, poem, etc. to share (not required)! This workshop will last approximately 30 minutes. In this workshop for both beginners and folks already working with herbs, Melissa Louise Calhoun will share exciting opportunities to connect with our plant allies for home health, the health of our forests, and the health of our regional economies. She will answer questions about where to start and how to connect to plants for medicine in daily life and livelihood. Find out what's happening around central KY and across the state to connect beginners, farmers, practitioners, foundations and non profits together through herbalism! Description coming soon. Workshop length: approximately 30 minutes. There’s Dancing in the Gym ! 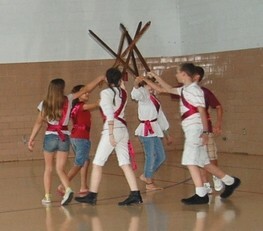 The festival starts with a dance in the gym. Come early and join in the fun. You will swing your partner, do-see-do, and promenade through square dances, contra dances, and circle dances. Each dance will be preceded by a run through with instructions. This is great fun for the whole family. All speakers will be on the main stage and will talk for 3-4 minutes each. This year we are including poets. Don’t miss them!